PVCu windows have proven to be the most popular home improvement of the last 20 years. Timeless good looks and ever improving energy efficiency, make PVCu windows a winning choice in many homes. Everglade PVCu Doors are the ideal choice for both front and back doors. They are perfectly matched our window ranges so you can keep the look and feel of your property all the same. 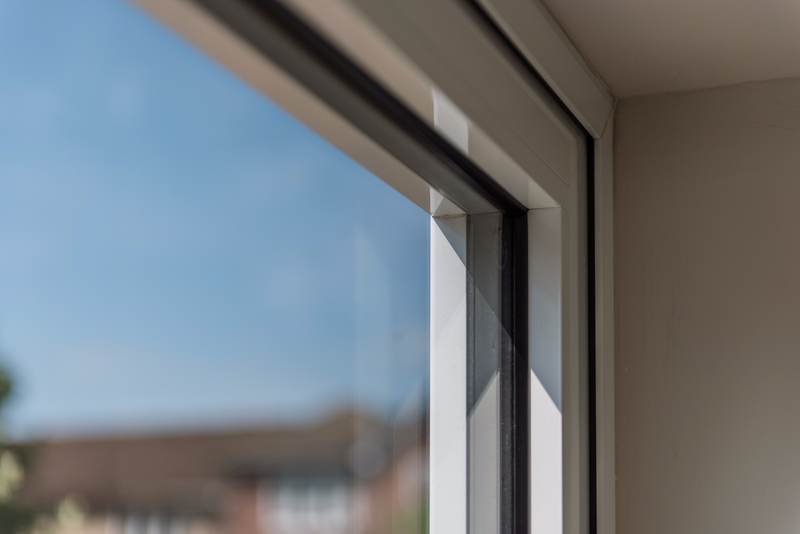 Aluminium windows and doors are a great alternative for PVCu. 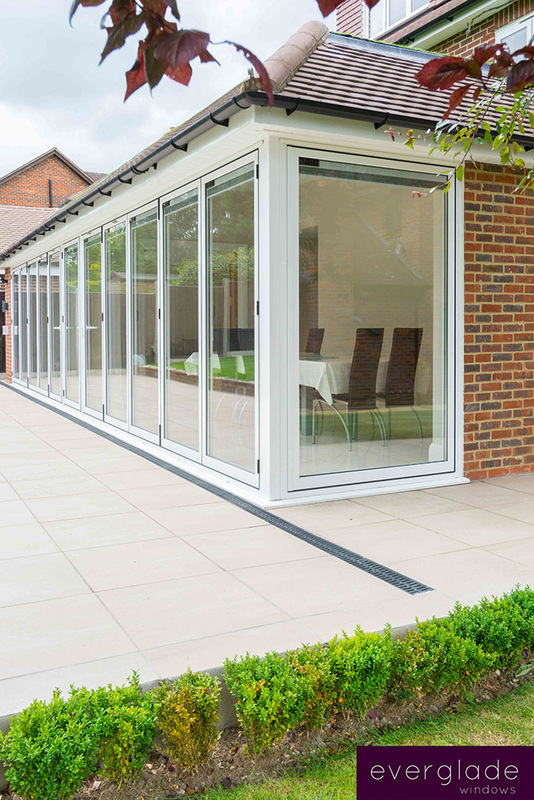 They offer clean, slim sightlines, great thermal efficiency and our usual high standards of security. A great choice for both new-build and refurbishment projects. 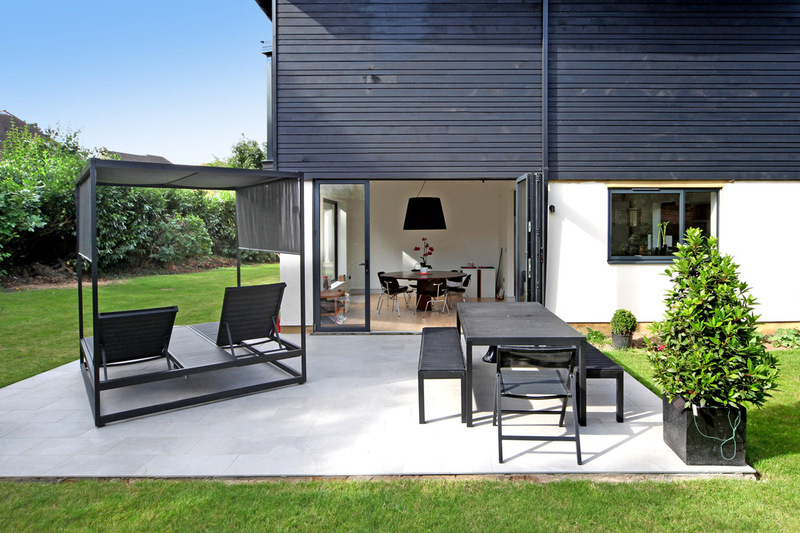 aïr has become an iconic brand for aluminium bi-fold and sliding doors. aïr accredited retailers are vibrant, successful companies with high spend, high end customers who enjoy choosing the best for their project. 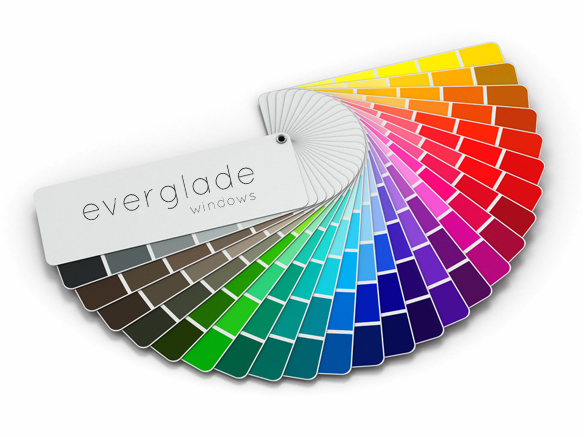 Everglade Windows offer an online ordering and quotation service for customers. 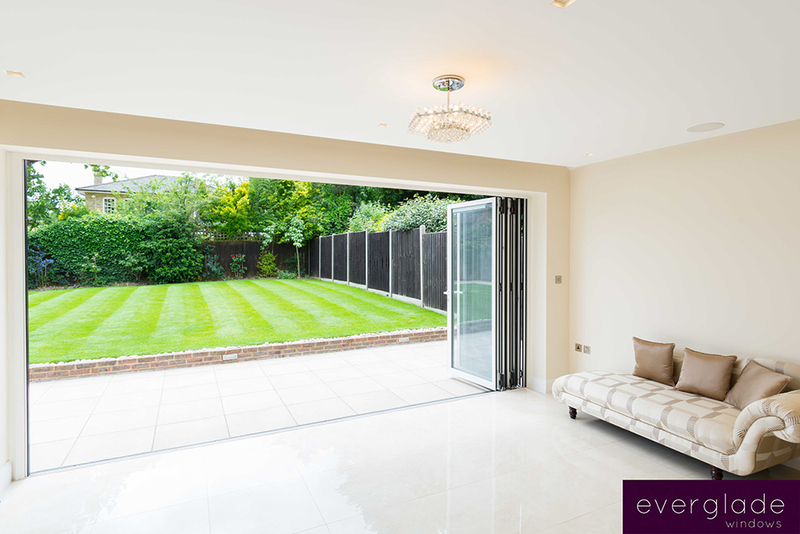 Everglade Windows has been supplying the trade for over 30 years and our team has many years' experience in the design, manufacture and installation of windows and doors. This expertise is available to our trade customers. As we also have a Commercial Installation division, we understand the challenges an installer faces. We have created a dedicated retail facing website for our customers to use. We've held a conference every year since 2006 where our customers preview the latest products, get industry and business advice from expert speakers and enjoy belonging to the Everglade family. CE Marking for windows and doorsets becomes mandatory on 1 July 2013. There are 2 main options for an installer to ensure they sell windows and doors with a valid CE Mark. 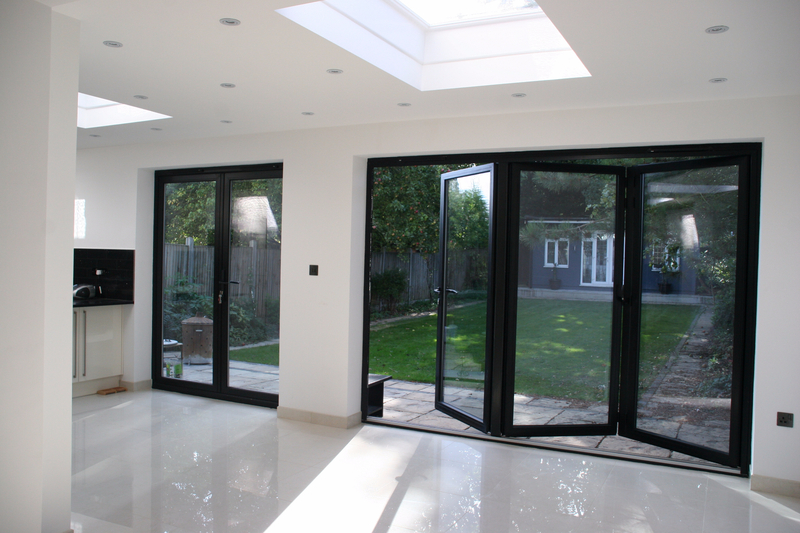 Our window and door range is manufactured at our state-of-the-art facility in West London. We know that it's difficult choosing a new supplier. We hope that our accreditations will reassure you that you'll get the best service from Everglade. We've invested in a showroom that you can use as your own. Visit us at our HQ in Perivale, West London. Everglade’s aluminium bi-fold doors have slim sightlines and low threshold options to help you completely merge your customer’s indoor and outdoor spaces. 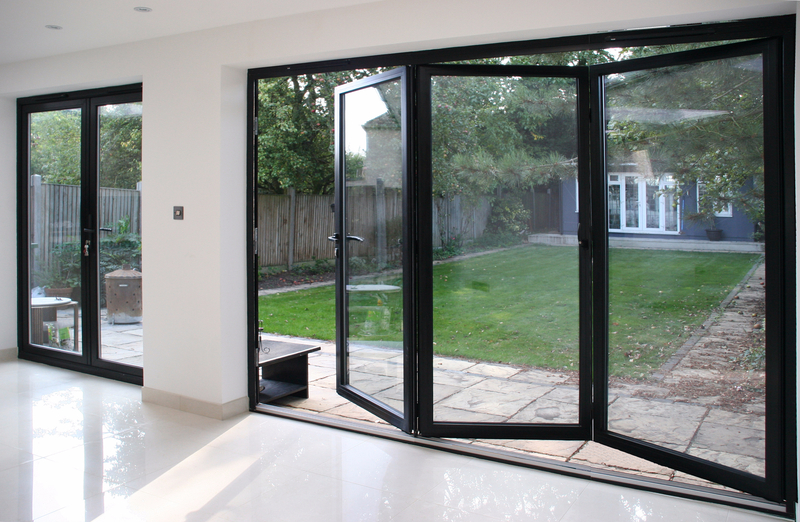 Aluminium bi-fold doors are really popular with homeowners looking to open up their property to the garden. 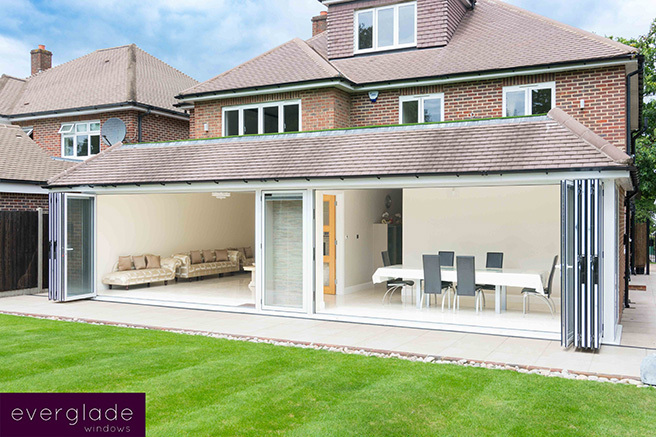 As well as aïr aluminium bi-folding doors we offer Everglade CF 68 aluminium bi-folding doors. They offer a great finish for your project and CF 68 has clever benefits designed-in to help you have an easy and straightforward time on site. With a full range of design options and a really smooth operation, CF 68 is bound to be a popular choice for your customers. 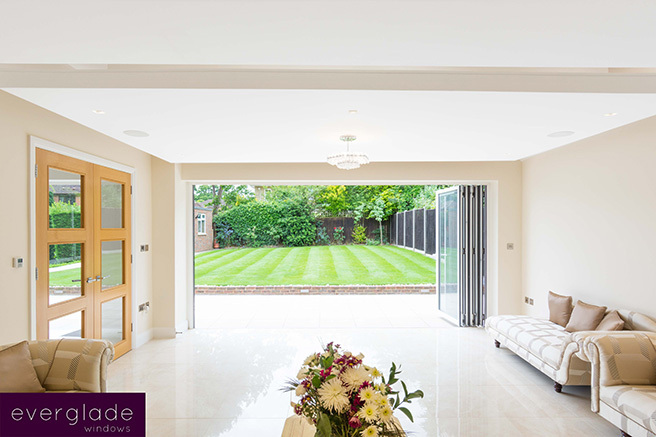 Engineered with precision and manufactured with care at our dedicated aluminium fabrication facility in Perivale, our aluminium bi-fold doors have a smooth operation and extra features for an easy installation, top security and great thermal efficiency. 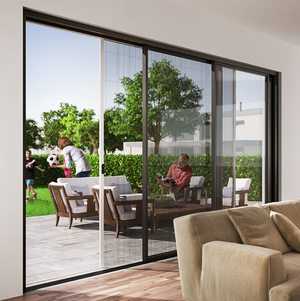 CF 68 bi-fold doors feature an adjustable side profile that means you can install the complete folding doorset as one on site, so you can get the job done quicker. 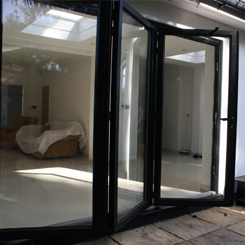 There’s a full range of thresholds to choose from for aluminium bi-fold doors including a flush threshold option. For non-flush thresholds, a ramp option is available for ease of access. 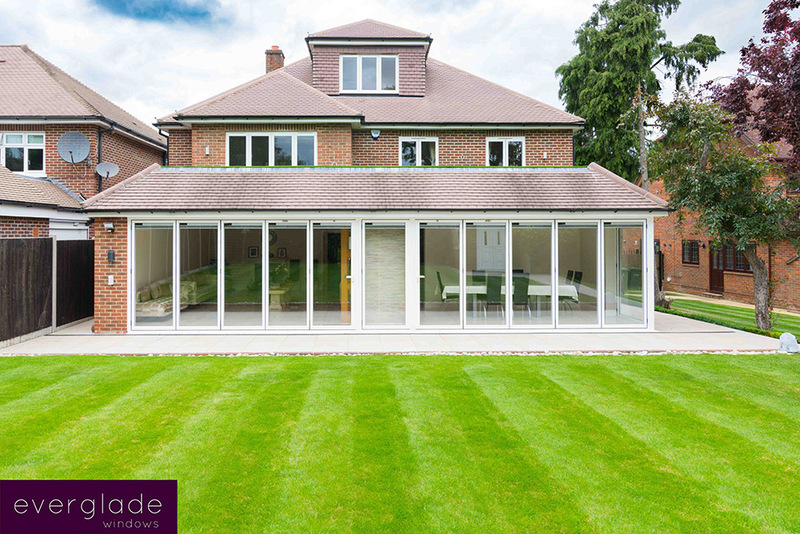 The wind resistance, air and water tightness achieve high standards rivalling other top-quality aluminium bi-folds. 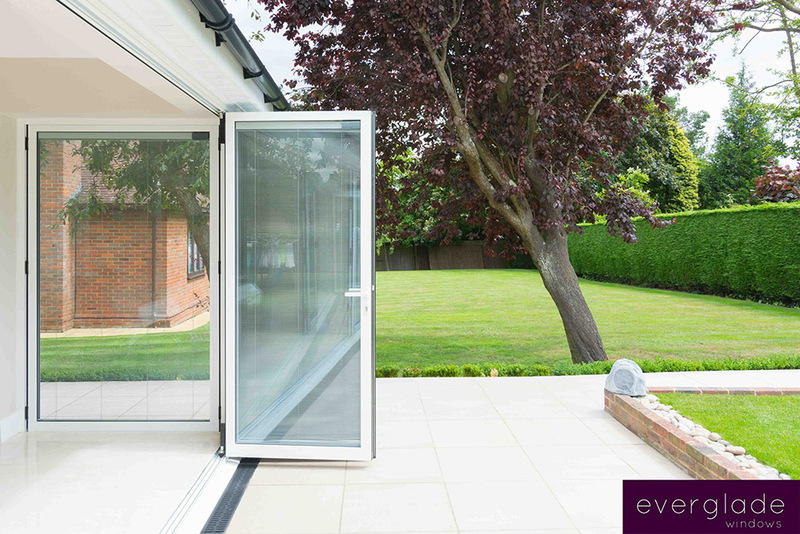 The Everglade aluminium bi-folding door range is available in any RAL colour, with dual colour frames also available. 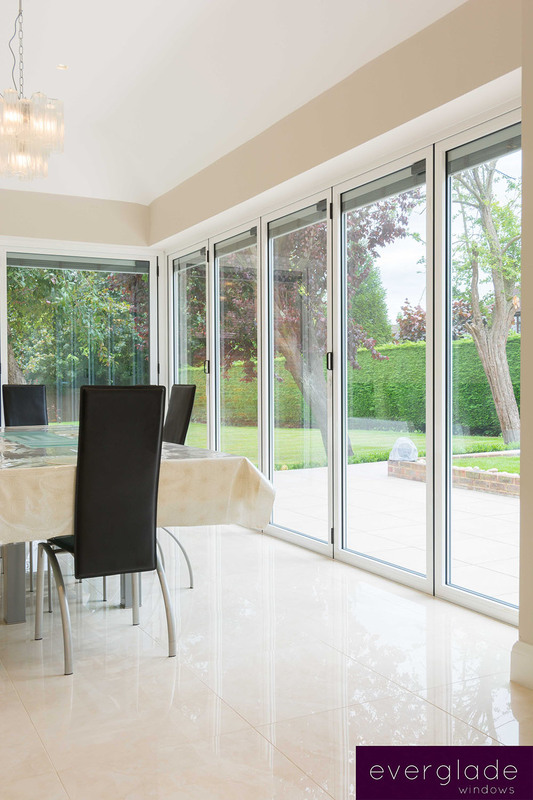 Our aluminium bi-fold doors have the optional upgrade of being fitted with Ultion 3 Star high security cylinders. 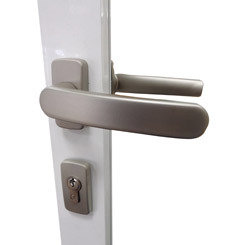 The Ultion cylinder is sold-secure diamond tested to offer the very highest security standards to customers. We offer a range of hardware and handle options so that homeowners can customise their windows and doors to suit interior and exterior décor. All of our hardware options offer a durable finish. All of our products offer excellent security benefits, with hinge protection and multipoint shootbolt locking mechanisms. 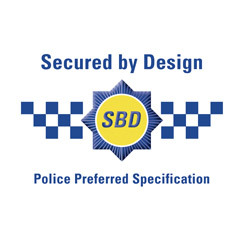 For extra peace of mind for your customers, products can be upgraded to Secured by Design, the police-approved security initiative. For privacy and protection, choose privacy screens. 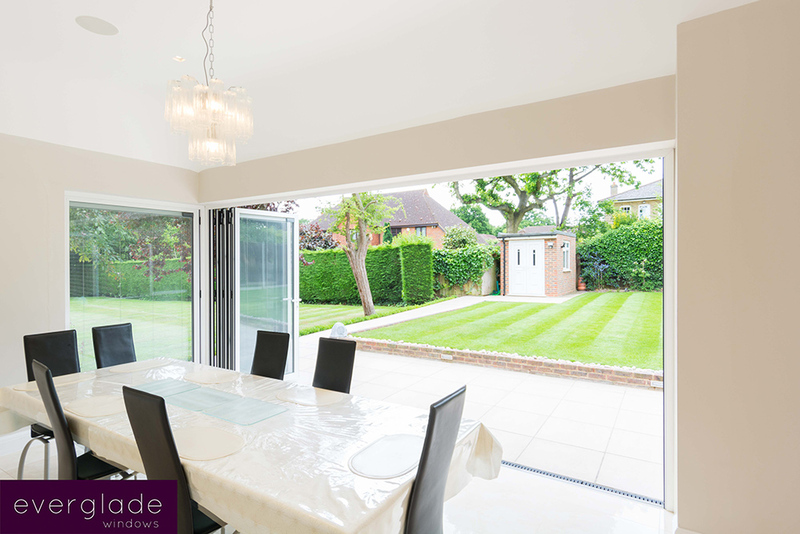 They work seamlessly with our bi-fold doors, offering homeowners a stylish and sleek alternative to curtains or blinds. 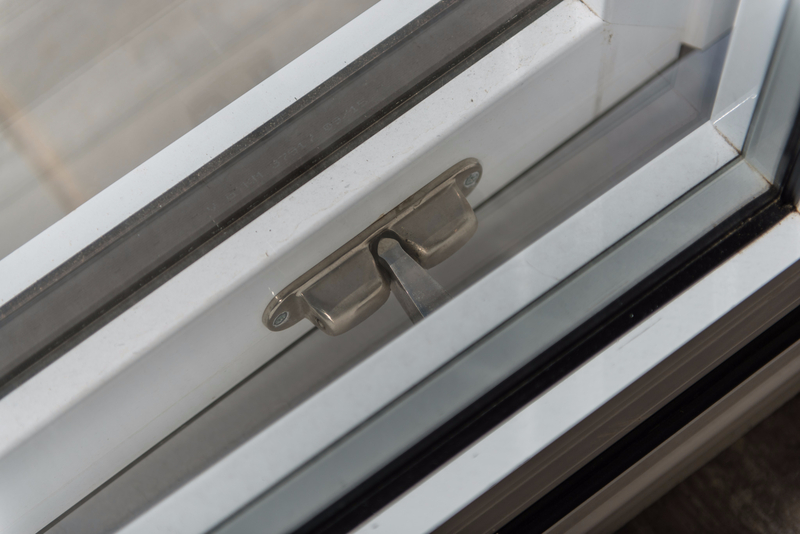 They also can be used in the warmer months, when the doors are opened more, protecting homes from flies or insects.